If you are looking for the best tree care company in the local Myrtle Beach SC area, you have arrived at the right place! Pawleys Island Tree Service is the number one choice for thousands of local residents looking for a reliable local tree service. 1. Great Customer Service - We keep you informed every step of the way. We will fully describe our range of services, and explain why a particular tree care service is suitable for your unique situation. 2. Tree Care Experts - We have a great team of tree care experts, all of whom show pride and passion in their work. Each year, they attend new training courses to keep abreast of the latest developments in tree care. They are also fully trained and insured to use a wide range of equipment from climbing gear to cranes. 3. Safety First - Safety First is a constant mantra at Pawleys Island Tree Service. You, your family, your property, and our staff must all be kept safe as we work, and we have several systems and precautions to ensure that this happens. Whether it is making you aware of areas that need to be kept clear whilst equipment is being operated, or informing you of which pesticides we may have to use, your safety comes first. 4. Licensed and Insured - In addition to the regular training, our staff are all fully licensed and insured. This means that you do not need to worry about where responsibility is if the extremely unlikely event that something doesn't go to plan. We will take care of it. 5. 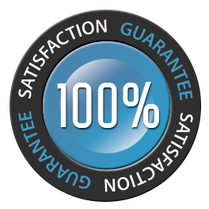 Satisfaction Guaranteed - We approach each job with the aim of exceeding your expectations, and guaranteeing your satisfaction. Are team are polite and friendly, professional, and respectful. This is what helps to make us the best local tree care service company in the area! Call The Tree Care Experts Now! Call Pawleys Island Tree Service today, and we can explain our full range of tree care services in more detail. We can be reached at 843-310-4988, or via the contact form you can see on this page.